This mini squeeze page template pack contains 6 pages in total. 2 Lead pages, 2 video lead pages, 1 thank you page, 1 download page. This pack is available for Divi & Elementor. This mini squeeze template pack is a clean and minimal design which you can use to create your own sales funnel within WordPress using Divi or Elementor ( your tool of choice ). All these pages are cleverly designed to convert the user without any distraction, thus they are clean and mini, you may however add more content / section if you like to. Note: This template pack is basic responsive which means that it should look fine in mobile & tablets however you can optimize it further as per your need and make it look even great easily via the divi / elementor responsive settings. 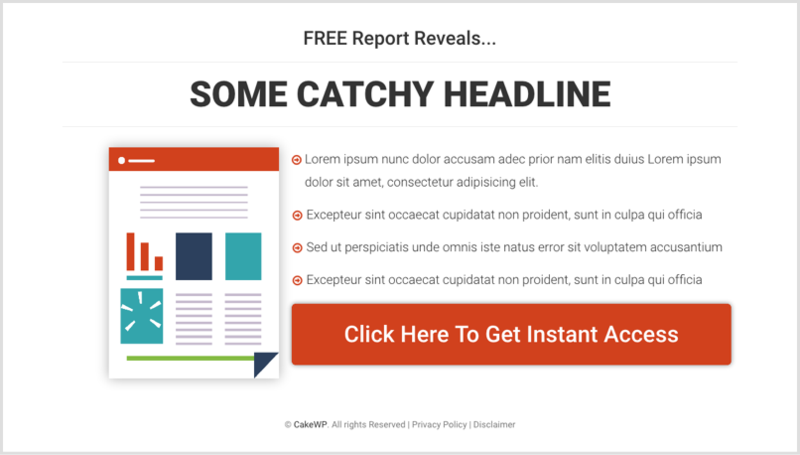 This is a mini squeeze lead generation page style one which has your offer content and details with one big and prominent CTA button. 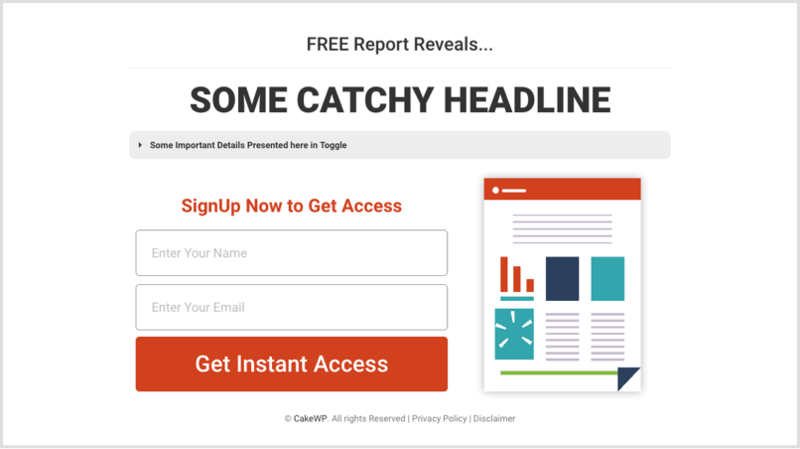 This is a mini squeeze lead generation page style two which has your offer content and details with Optin Form to get the lead. 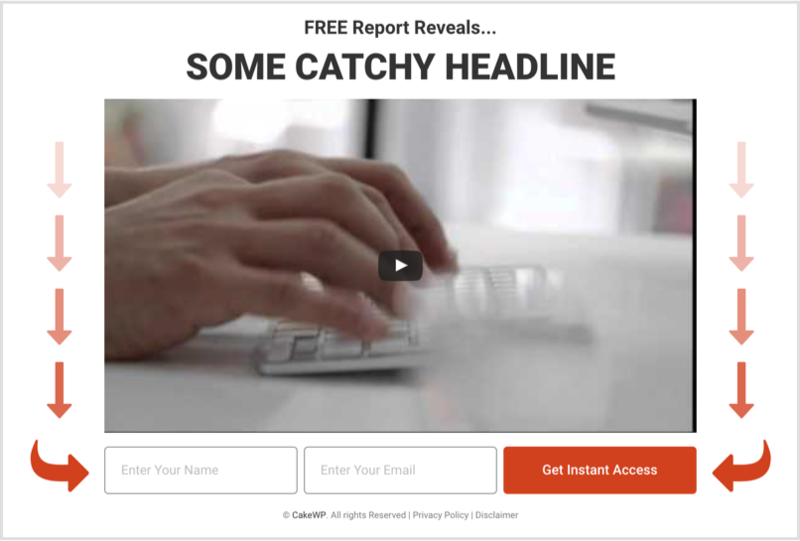 This is a mini video squeeze lead generation page style one which has your catchy titles and the explainer video along with Optin Form to get the lead. 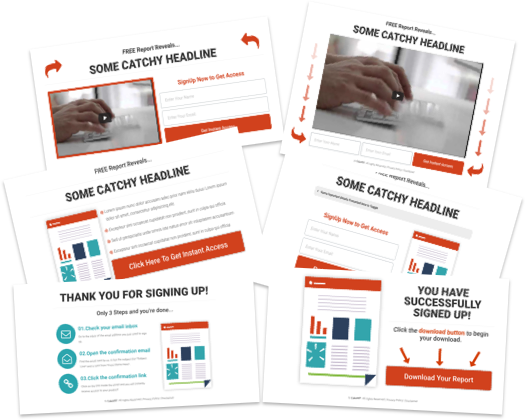 This is a mini video squeeze lead generation page style two which has your catchy titles and the explainer video along with Optin Form to get the lead. The arrow graphic is to take the user focus towards optin form. 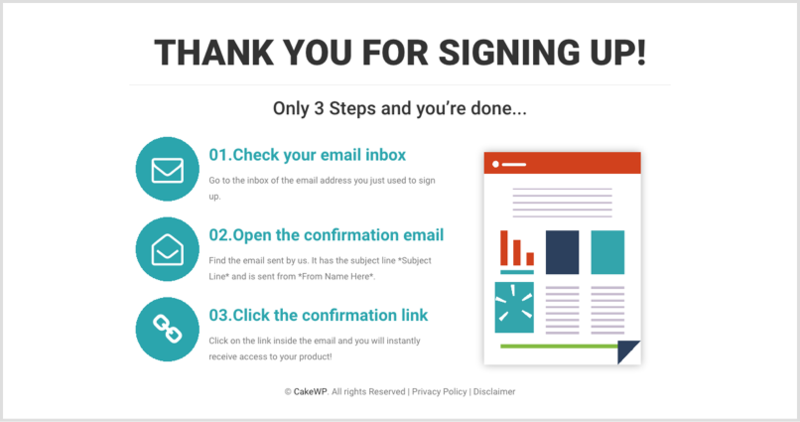 This is a mini squeeze thank you page where you will redirect the visitor via the lead generation page so this will be step 2 in your sales funnel. This page will explain the visitor to take further actions as per your plan. 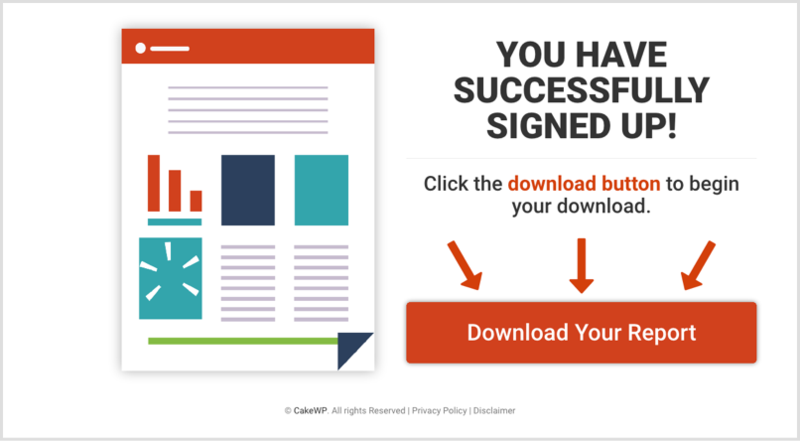 This is a mini squeeze download page where you will redirect the visitor after email confirmation so this becomes the last step / 3rd step in your sales funnel. Here the user will download your offer / report / anything or whatever purpose your sales funnel is. So basically this mini squeeze page template is best for you if you are divi or elementor user and are looking to start some marketing campaign and looking to do a simple sales funnel with in your WordPress website built using divi or elementor already. Hope this helps you get started with your marketing campaign quickly, leave comments for your feedbacks and suggestions. Simply download files of your specific tool ( divi or Elementor ) from the start of this page & import the “.json” file in the divi layout library / elementor templates library and than create your pages and insert the required layouts / templates. Specific Note for Divi Users Only: For Divi there is an extra module added at the bottom on each page layout which is named “Custom CSS” this is a code module actually which has some extra css for the specific page, please inspect the code within to see what specific css tweaks are applied and you can also add your custom css code in there if needed.